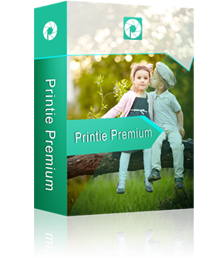 Printie Premium may be installed on Windows2000, Windows XP ,Windows Vista and Windows 7 (32 and 64 bit) operating systems. It is recommended to change the screen resolutions to either 1024x768 or 1280x1024. To install the software, double-click on the setup file and follow the instructions on the screen. When the installation is finished, Printie Premium will perform few more operations (which may take a few minutes) to complete the setup. The first time you want to use Printie Premium you have to enter the user ID number assigned to you by the print-shop (some print-shops don't require entering the user ID number). The next time you want to use Printie Premium you can start it from the shortcut icon on the desktop.